The Bedford Area School District endeavors to improve student and parent experiences with learning and communication. During our summer orientation, District officials presented several initiatives for the 2018-2019 school year. Administrators spoke about iPads, the new learning management system entitled Schoology, the Social and Emotional learning curriculum, and the new student information system entitled Skyward. 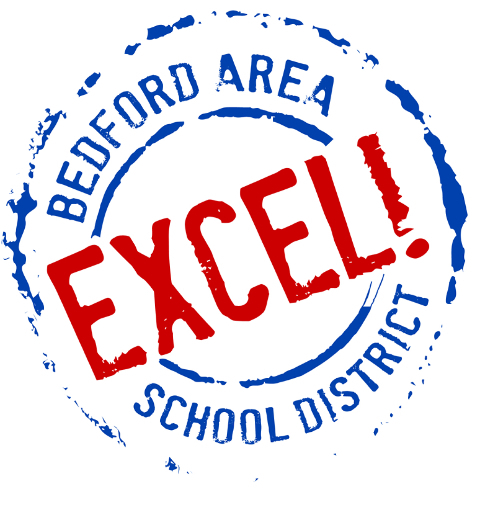 We believe these initiatives are transforming your child’s experience at the Bedford Area School District. As the District approaches issuing the first report cards under our new systems, we took some additional measures and time to make the experience as seamless and accurate as possible. Your child’s grades both for individual assignments and cumulative class grades are located in Schoology. Nightly, Schoology sends the cumulative grades to Skyward, which is the system the District uses to generate the report card. The district spent additional time verifying this transmission of grades from Schoology to Skyward. We plan to issue reports on November 13. However, if you are a parent of a high school student Cumulative GPA and Class Rank will not be available on this report card. If your child wants to know their Cumulative GPA and Class Rank they can get this information from their school counselor. While report cards may always hold a place of importance, Schoology offers parents a deeper and timelier location to review your child’s grades. Currently, the District has hundreds of parents who receive a weekly email consisting of their child’s grades, future homework assignments, and teacher comments. The District recommends all parents utilize this system to review their child’s grades. If you would like to receive the weekly Schoology report please contact Ms. Kelly Baker. For parents who receive the weekly Schoology report or login into Schoology regularly, report cards are simply a final verification of the grades already reviewed in Schoology. Additionally, the District will not have comments on the new report cards. Schoology offers parents better feedback about assignments and tests within a shorter time frame. For example, while it is great to hear your child is a pleasure to have in class on a report card, it is better to hear why they are a pleasure and how well they are doing on specific exercises. Oppositely, no one wants to hear there are concerns or issues at the last moment. The District believes Schoology is the best location for comments/feedback since it offers detailed information about class activities and is disseminated at least every week. We encourage teachers to provide timely feedback through Schoology, so parents can partner with teachers to help or praise their child. In closing, the District will issue report cards on Tuesday November 13. Additionally, if you have not already done so, please partner with us to use Schoology. For help with Schoology and/or Skyward please contact Ms. Kelly Baker at 623-4250 ext. 1205. We appreciate your support and patience as we issue our first new reports and ask you to contact us immediately if you have any questions.